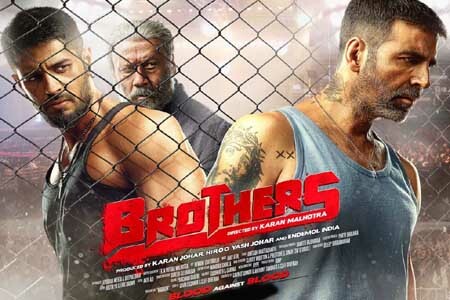 Brothers is an Indian action-drama film, based on Mixed Martial arts directed by Karan Malhotra and produced by Dharma Productions, Lionsgate Films and Endemol India.The film is an official remake of the 2011 Hollywood film Warrior. It stars Akshay Kumar, Sidharth Malhotra, Jacqueline Fernandez, Jackie Shroff and Shefali Shah. The soundtrack of the album is composed by Ajay-Atul while the lyrics are written by Amitabh Bhattacharya. Here is the link of all the songs lyrics and videos of Brothers.